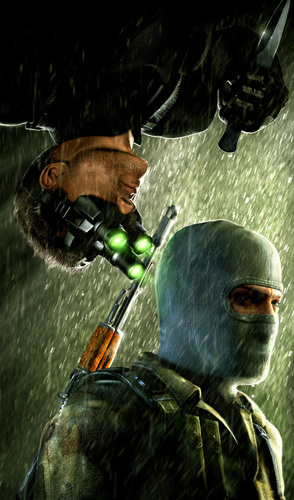 Splinter Cell is probably one of my top favorite series in video games. Why? Because Sam Fisher is hott. Yes, that’s hott with two t’s. His gruff voice, black attire and ability to sneak past any security system have made him my man of the year. I even named my dog after him. The only problem is that he’s really not the type of guy you’d take home to mom. I blame that on the fact that he’s entirely too good at hiding dead bodies. In all seriousness, though, I was first impressed with the original Splinter Cell because of the strategy involved with making your way through the game. It’s not your typical shoot-’em-up killer. 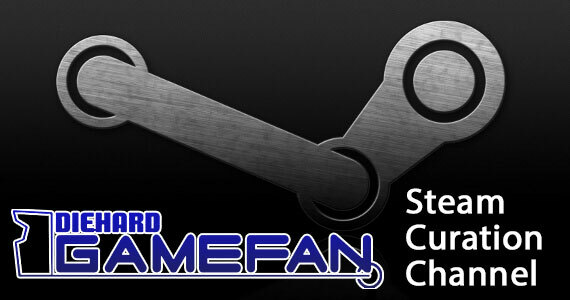 You finish levels using stealth, guile and other various skills. Not only that but, as each new game comes out, the graphics only get better. There are a lot of innovative things that make the Splinter Cell experience feel realistic. Chaos Theory is the third installment of the Splinter cell series. 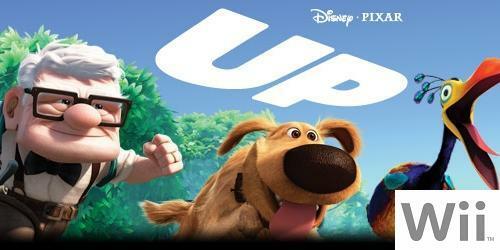 The premise is not too terribly different from the first two. You’re a black ops kind of guy that’s out to collect information from terrorists and other bad guys by infiltrating their security systems. Each mission has its own objective that you have to complete by taking orders from HQ. The beauty of Chaos Theory is they’ve created a more flexible way to complete missions. You can complete core objectives a lot easier without “Mission Failed” plastering itself on your screen. But for more points and even more information on the plot you can complete things in style. If you want, you can stay completely hidden or even decide to play Rambo all the way through a level. Whichever way you decide, it’s not going to be easy to handle everything with complete finesse. The bad guys have gotten just a little bit tougher. Not only has the game got a more competitive edge to it, the graphics have gotten sharper as well. The shots of Sam Fisher have a realistic quality that makes you think you’re almost looking into a photograph. (Look at those dreamy green eyes… all three of them… *sigh*) Special effects like lightning, water and even warehouse lighting are very showy and help add to the whole mood of whichever level you happen to be on. 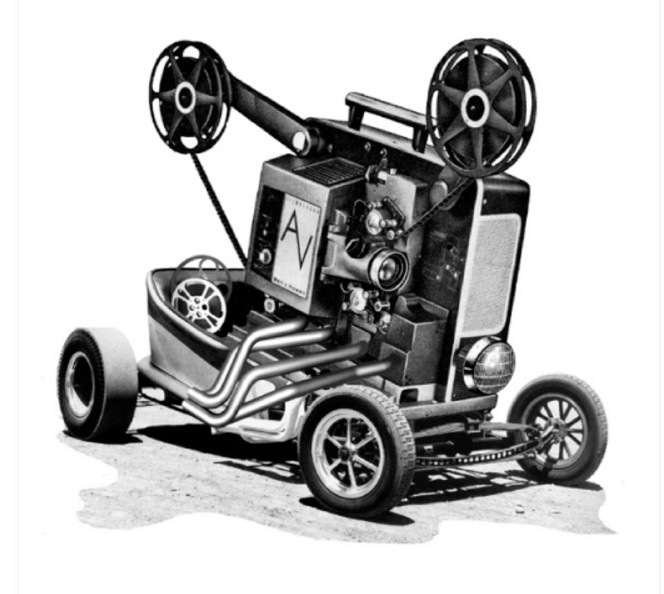 If the sharp graphics don’t impress you, maybe the physics engine will. Movement is depicted much more smoothly and the realism has definitely improved with leaps and bounds. It’s also great how they’ve allowed Fisher to interact more with his environment. 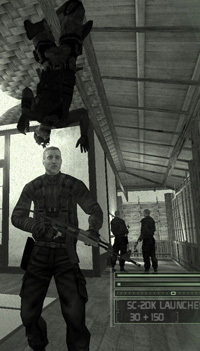 If you’ve played previous games, do you remember how cool it was to sneak past unwitting guards by hanging on the ceiling? Well now you can hang down, wring their neck and be completely back on the ceiling in just about five seconds. If that’s not brutal enough for you, Sam’s got a new knife and he’s not afraid to use it. Again you’re presented with the beauty of choice. Do you slice and dice this guard’s neck or would you rather take someone hostage? Multiplayer mode is still around if you enjoyed it in the past. You can still play spies versus mercenaries in adversarial mode if that’s your cup of tea, although it’s been switched around a bit since Pandora Tomorrow. I’m most interested in seeing the new co-op mode. Can you imagine a room with not one but two Sam Fishers? (Is it hot in here or is it hott in here?) Co-op mode stresses the importance of playing on a team. 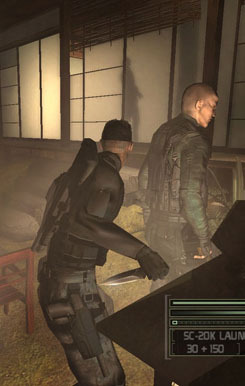 There are certain places in multiplayer missions where you have to use specific moves such as a human ladder to get past obstacles. You also get to carry a life-giving syringe that you can use on your buddy or yourself if the situation gets sticky. So if you’re one of those annoying players that hangs back and lets someone else clear the way, it’s not going to happen on these missions, buddy. I’m definitely looking forward to when this game will hit the shelves. I can admit though that I may be a teeny bit biased. 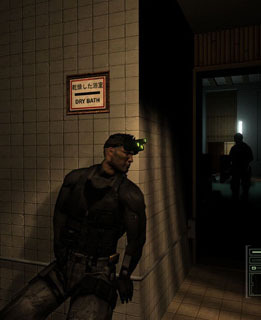 In reality, I know that Sam Fisher is a video game character and it’s completely silly to have the hots(hotts) for someone that’s completely imaginary. But I’m still allowed to name my dog after him.